We couldn’t manage to hit the most beautiful classic car event in Europe. Again… Well, even in our absence, the show is nothing less than spectacular. Take a look at those 30 epic photos from 2017 Concorso d`Eleganza Villa d`Este shot by Kevin Stec for photo-automobiles.com. The unique Alfa Romeo Giulietta SS Prototipo was praised with the Best of Show award and by looking at the pictures – rightfully. 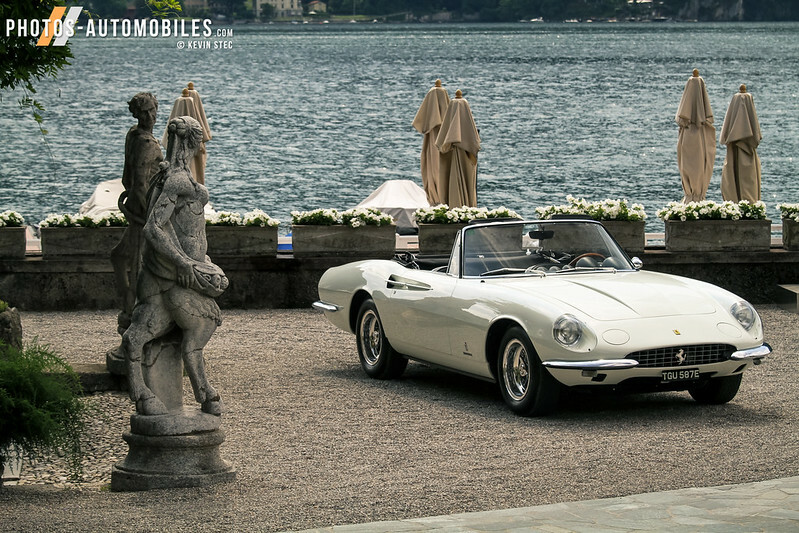 As usual, the event was organised in Grand Hotel Villa d`Este and the nearby park of Villa Erba in Northern Italy, right on the shores of Lago di Como. This automotive show is dedicated to the art of cars which we are in love. By displaying eternal automotive classics next to future sneaking concept cars, it is a bridge between from the past to the future of the art of driving. This year’s motto of the Concorso d’Eleganza Villa d’Este 2017 is “Around the World in 80 Days – Voyage through an Era of Records”. The winning Alfa Romeo Giulietta SS Prototipo was designed by Franco Scaglione in 1957 when he was chief designer at Bertone. The car is based on the three related B.A.T. concepts, born of the collaboration between Alfa Romeo and Bertone between 1953 and 1955. The awarded vehicle stands out with streamlined aluminium body emitting elegance as a movie star like George Clooney who, by the way, has a nearby property of his own. Back to the stunningly beautiful Giulietta SS which is powered by 4-cylinder, 100 hp engine and is considered as the predecessor of Alfa Romeo Giulia Sprint Speciale, presented two years later. Both of them were and still are bold and radical designs that deliver automotive excitement. Just 52 entrants from around the world joined 2017 Concorso d`Eleganza Villa d`Este. Each of the classes is carefully considered, laboured over by a panel of judges that range from automotive industry veterans like Patrick le Quement, former design chief of Renault to racing drivers like Derek Hill, son of legendary American Ferrari Formula 1 Champion Phil Hill.